Best DC Movies of All Time. DC Entertainment has been the home to many iconic brands like the Batman, the Superman, the Wonder Woman, the Flash. It is a creative division associated with the DC comics charged with creating the entertaining stuffy while integrating the content between the Time Warner and the Warner Bros. Entertainment. It works on stories based on the DC comics and is collaborated with many divisions of Warner Bros in order to unveil its vigilante characters across the media. The stories are not just limited to the comics, but they are published in the form of magazines, novels, audio-visuals, films, home entertainment divisions, consumer products and interactive games, as well. Standing as a brand, DC have been making films since forever and therefore, here today; we are going to list out the Best DC Movies of All Time from the top to bottom; to give you a clear idea of what the DC is all about. Let’s hope the ride. Shall we? One of the main reasons behind the notion that DC makes bad movies; is because it made ‘The Dark Knight”. Directed by Christopher Nolan, the movie is a haunted film beyond the origins as it turns out to be a tragedy. It has characters that we care about and the performances that we can’t forget. Be it the writing, the quality, the direction or the portrayal, it is definitely the best DC film that has been ever made. As the plot goes, it is a simple tale of the good and the evil but then again the evil captures you with all his charisma. A Mephistopheles, as he is; Heath Ledger nails the performance and fiendishly poses Joker to be the one that can put your moral dilemma in check. However, it’s a heart wrench that he died soon after playing the character without even receiving the Oscar that he much deserved. For years, we have had Superman as our childhood hero. But, do you know when was his first appearance as the vigilante in red, yellow and blue happened on the screen? Well, an hour into the debut movie Superman, we can see him as the savior. However, Speilberg has mentioned that the jaws would have worked better; as long as the shark is kept off the screen for the new look and many filmmakers nodded their heads. This film is not like any of the other superhero films around the corner and it didn’t have a pre-title action sequence that would dive you into the movie. It just opens on the Krypton where Jor-El prepares Superman to launch into space and it doesn’t have many of the action sequences, allowing it to stand out. First created by William Moulton Marston, back in the year 1941; Wonder Woman has been the best for many. Not only does she dig the feminine ethos of people but here stories are extraordinary with a lot of compassion. All of the artists who created her said that one should have the compassion to understand her rather than just look at the brutality she holds in the battle. The audience is engrossed in this idea and it became the most powerful fantasy as it outlines both the interior and exterior of a woman. As Gal Gadot beautified the character, the film projected her as tough and self-assured. If only they had known to retain the humor. But, as the first independent female superhero film, it is one of the top movies that DC has made with perfect balance of duality. “The Lego Batman Movie,” has been the latest building block in the corner as it based on the 2014’s animated, “The Lego Movie”. It is original and can be completely entertaining given how it preached about the resistance of social conformity. Most of the running time is covered with action scenes and a villain who gets summoned in the surplus from the DC universe and the Warner Bro’s baddie warehouse. All of them include King Kong, Voldemort, Eye of Sauron, Godzilla, Gremlins and the Wicked Witch of the West along with her flying monkeys. On a visual level, it is a razzle-dazzle and you will for sure enjoy few sequences. The bunch of writers that worked on this film had done lots of homework however, the story finally concludes the dance number, taking us far away from the usual darkness in the DC movies. It’s a fun to watch. The film begins midway and it doesn’t have any recap or the flashback of the first movie. However, it is indeed a repeat of what the last one and a half hour of the first film, contained. It has the same villains, same characters and the same Lex Luthor who hasn’t changed till now. It also contains the love interest between the Superman and the Lois Lane and also let’s not forget about the strange relation between Clark Kent as Lois doesn’t know him for Superman. 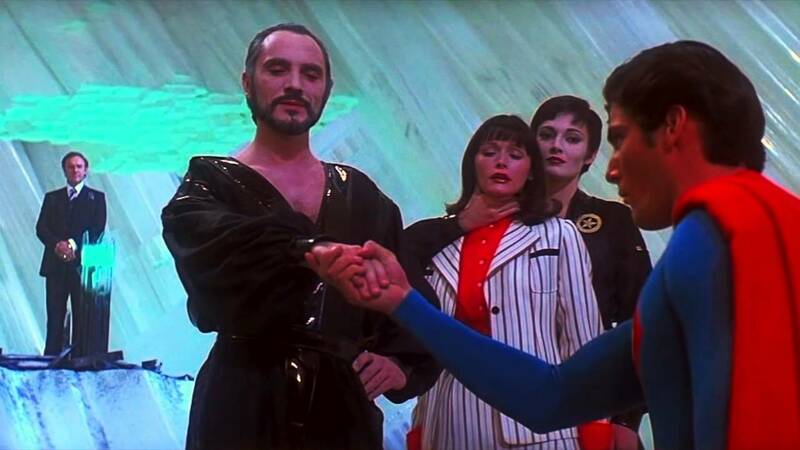 It has the return of the three different villains from the Krypton who fights with the Superman. The film catches the urban flavor intensely and uses the architecture of the Empire State Building, the Eiffel Tower and the landscape of the Niagara Falls along with the ambiance of the Times Square. “The Dark Knight Rises” is all about the conclusion of the lengthy, sad and extremely enthralling trilogy. Leaving the older superhero formula behind, Nolan has redefined the idea of the superhero with the Batman. The film mostly contains the urban terrorism, the classic warfare, the infrastructure of Gotham being ripped off and amidst all that, is a typical Bruce Wayne waiting reluctantly for years without being Batman in seclusion as a soulless vigilante. The film has a very murky plot and many characters that add up to the climax. However, unlike the first two parts; it doesn’t contain any sub-current humor; but is filled with serious drama between Batman and the Hannibal Lecterish faced Bane, who gets his personality robbed and is off to take the revenge. The first film that takes us to the troubled and the dark depths of the Batman story; it reveals the Batman as a plausible superhero who is driven to dress like a bat because of a childhood incident and who becomes a vigilante to protect the Gotham from evil forces. The movie not only supplies the beginnings to us in a traditional way but also gives us the tortured path that Bruce Wayne faces as a parentless child and how he turns out to be a friendless adult. The movie is not realistic, but you will not fail to relate yourself to it, as well. Right from the opening in the prison camp to ending up as a prisoner; the Batman Begins offers you so much on a plate, to think about. 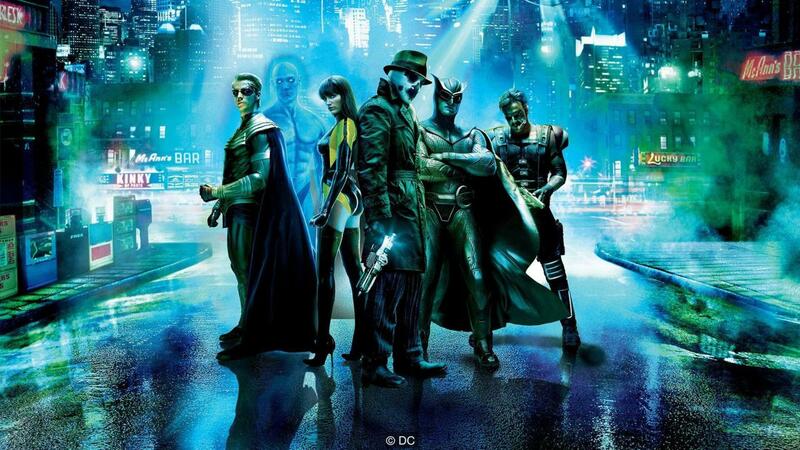 After the experimentation done in ‘The Dark Knight’, another movie that stays on the line as a bold experiment is the ‘Watchmen’. This movie is all about liberation of the superheroes and it can be said as one of the very compelling films with sounds, images, frames and characters combined altogether to give you an oddly visceral experience that would be close to the graphic novel. The movie is charged with power from inside as a fable and we can sense a lot of picturization over the plot as we work with the functioning of the world. 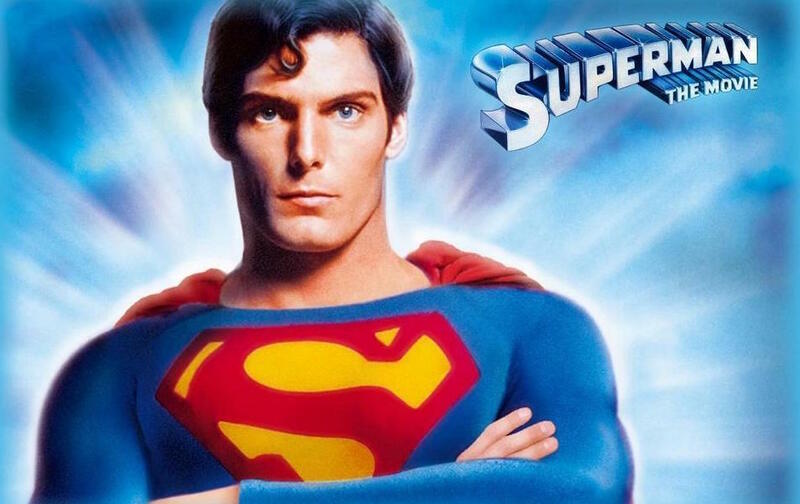 The background is set in 1985 and therefore the movie has many strange details along with a parallel universe confronting the paradox that the superheroes are only human. 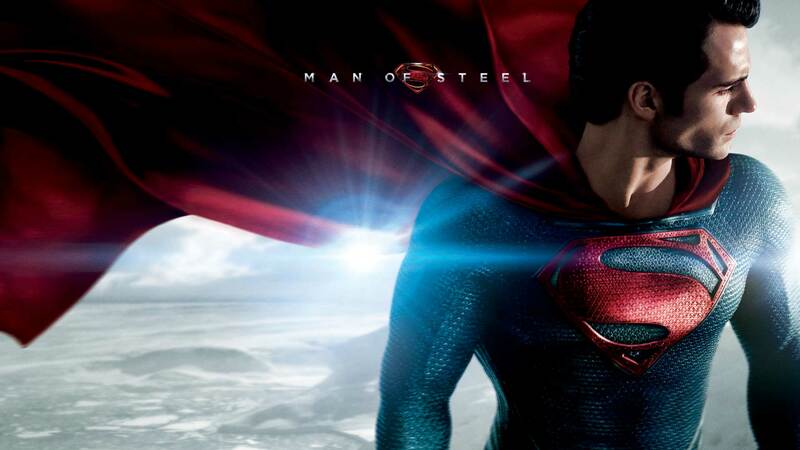 Man of Steel is indeed one of the best films that anyone would watch in the recent years. It can be said as a radical from the past and the absence of the ‘Superman’ in the title itself gives you a whole new imagination. That’s what the film expects you to imagine and that’s what it contains both for the better and the verse. Stated as the 2013 version of the Superman, it is convoluted, dark and violent with a chock full of images that contain disasters, survivors, collapsing scrapers. It is not funny neither light but is definitely sincere where the hero is a hunk vigilante who tries to save the planet that is scared of the apocalypse. As the title goes, your spine should be made of steel when you’re being super in this world. Unlike the other superhero movies, Constantine is not about the Troy, neither is it about the Alexander. It is not about the Constantine, the emperor but is about a man who wages war against the damned scavengers and who can view the world beyond it. There are documentaries about the penguins at the Sundance where it is shown that the male penguins sit on eggs for the whole winter in negative 60’s for them to be hatched. Almost with the same principle, Keanu Reeves, as Constantine hunters the demons while being depressed in the Los Angeles. As a chain smoker, he can see people who are not human right from the childhood and therefore, he knows that he can’t escape from it even when he kills himself. Though there were too many rumors about this movie and how it did not reach the standards, it is a movie that started the epic filmmaking in the superhero genre. This movie might be a bit disorganized, but is ponderous and you will love it for what it is. It might not have the tonal variation from one scene to the other, but it tells a story in a different way; opposed to the inspiring superhero outline; and it actually sets up the background for the next chapter, as DC follows the Marvel type debut. Beginning with a flashback of Bruce Wayne witnessing the murder of his parents by the chain snatcher and the mugger; it goes on with the trauma and his encounter with bats and then he confronts the Superman and both of them fights on each side of the justice. Introducing yet another superhero in the picture; he will be given the usual responsibility of dealing with the evil while being the Good. In this film, it is termed as the Will and the Fear. The film introduces us to a very ancient race of aliens who have divided the whole universe into different segments in order to attain peace. However, this division is refused by another alien, Parallax who leaves the troop and starts committing various sins in order to be the prince of the darkness. Similar to the Satan, he is malevolent equal to the Green Lantern in the battle. Played by Ryan Reynolds, it tells the story of Hal Jordan, a pilot who believes that humans can fly the fighter planes better than the computers. To know the rest, you should watch the movie. There has been a lot of fuss about Justice League being released around the corner. As the trailer speaks, this movie is about a bunch of heroes trying to stop the monsters that belonged to the extraterrestrial spaces as they focus on wiping the entire humanity off. As a film, the Justice League can be light on its feet as it goes on connecting the origins of all the superheroes in the group. The film had a lot of ensembles to do because of so many characters and therefore avoids the self-importance of each character. However, it has got a visual acuity about itself with many basic problems in the script that can never be solved. The team contains Batman, Lois Lane, Wonder Woman, Superman, The Flash, Cyborg and our favorite Aquaman. All these, in a place? It’s a treat to watch nevertheless you might get disappointed with the very obvious climax. As the title speaks, the movie and the slogan gives us hints about Will Smith’s role as the leader as he along with his team turn out to be do-gooders from the criminals for their own benefits. The description “The swirling ring of trash in the sky” sums the entire movie up for you. However, the movie, unlike other DC movies, is messy, massive and loud. To an extent, it can be termed as a film that is overstuffed but because of the presence of too many characters; you will forget the fact that any of these characters fail to be normal human beings, taken a closer look. The movie is full of visuals, grandiose and can be said as a big budget film but few background scores, Margot Robbie along with Jared Leto saved the movie for the director. A relatively old film made by the DC; the Swamp Thing is one of the very few movies that won the hearts of people even before the marvelous moments. It is one of those movies where you know that you can’t decide it to be a buried treasure or a guilty pleasure. The story is a brilliant scientist, Dr. Alec Holland who owns a secret formula. After being attacked by the thugs, he gets the formula splashed on his own, followed by catching the fire. To get rid of it, he crawls into the swamp and becomes a swamp thing. Because of the formula reacting with the vegetation of the swamp, his shape gets changed and unrecognized. The film then goes on explaining about other things in detail. Adapted loosely by David Cronenberg, this graphic novel by Vince Locke and John Wagner speaks about the neo-noir past of a restaurant owner. Located in the small town, he wants to cover his gangster past; this film is driven more by philosophy and less on vigilante trend. According to the director, the film’s title has three different areas; one that it would contain the longest history of violence, second that it would talk about the use of violence to settle the disputes in the history and three, about the violence of the Darwinian evolution that says the better surviving organisms always replace the ones that can’t cope up. This film can be interpreted in many ways and is a must watch for everyone. Having said that, all of the above-mentioned films are equally enticing and will take you to the edge of the stories. Each film reveals few aspects, the beginning, the happening, the climax or the outline of the vigilante superheroes and therefore, you will always stay curious either to know more or to interpret what you have known from the Best DC Movies of All Time. While some of them are captivating and can hold us by our seats, some of these are neatly drafted and both together will let you know what DC is capable of making and presenting, before the audience. Previous story Highly Anticipated​ Movies to Watch​ this November!